Crafted and cast with care, this oval, silver cupboard knob will heighten the sophisticated atmosphere of your home. The heaviness of the body, made of solid metal add to the authenticity and exclusiveness of this design. Emphasise the classy setting of your environment by adding the simplistic, but elegant knob to your home décor. The style of the product will match modern and traditional wardrobes, cabinets and vanities. 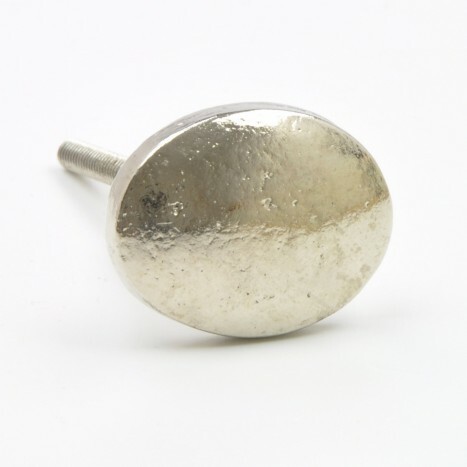 Tags: silver metal cabinet knob, round metal knob knob, quality metal knobs, strong metal knobs.